Hi I'm Sam. I'm short, balding with enourmous ears and I'm beginning to feel a tug to shut them in oven doors. An elf's work is never done. I'd be thrilled to host a private Potter tour, just for your group. "Sam was amazing - his knowledge of all things Harry Potter and J.K. Rowling was impressive and he managed to weave in plenty of interesting Edinburgh history. Sam tailored the tour to our interests which meant every moment was enjoyable. 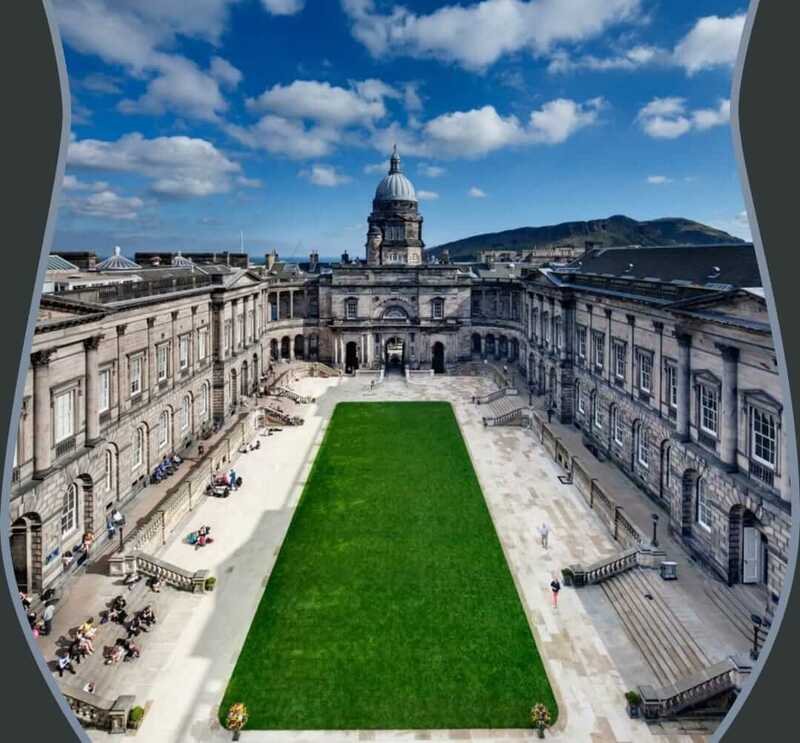 A great way to see Edinburgh and a fun insight into the Wizarding World of Harry Potter." I used to volunteer with the Scouts, as an assistant leader. I've taken French, Austrian, German & Swedish schools around in the beating sun. I've secured a discount on fabulous Scottish ice cream to keep folk bouncy. I've been chosen by Edinburgh university students association. I'm occassionally chosen over rivals by novelists & aspiring novelists. I've been selected by an American university studying Harry Potter for their summer trip; their author-professor said I was delightful. My sister says I smell. My Discover Harry Potter Britain guide is consulted by people planning their holidays. I have 4 varying tours on Harry Potter, so I can give you whatever you wish. Well if you're considering me - thanks! I think it better to give the kids a choice though. At least two. People value more what they choose for themselves and it's a day of heightened emotions, so offer them a couple of alternatives, just for their birthday let them be the boss. If they choose a tour, brilliant! In all cases make sure they're warm, the tour has a bit of standing around, but not overheating. If it rains, bring a trident. Exercise, Education & an Expert on HP!!! "We are an active family and wanted to show our birthday girl the birthplace of Harry Potter. We chose Sam to lead us on this adventure because he offered a tailored tour and came highly recommended. Sam met and exceeded our expectations with his wit, energy, and enthusiasm. We walked and talked the hours away and we learned and visited the spots that JK Rowling drew her inspiration and ultimately wrote her novels. This was no mere pilgrimage as we found new facts and fascinating insights to the author and our beloved books. Birthday girl and her sister had a blast while the tolerant mother and nerd father would definitely book Sam again." A 5ish hour tour with activities. Popular for rites of passage, teachers and people on a pilgrimmage. It stops at Spoon bistro for a great feast and witchcraft classes but it remains a dark and gritty tour about what we can learn from JK Rowling overcoming hardship. The length so far ranges from 4½ hours to 6 hours, depending upon queues, eating, conversations and walking speed. I can do tours of up to 6 people like this ideally Tuesday-Friday because more venues are open. It's best suited to parties where at least one person has read all the books. It's possible to do a shorter tour including the activities if wanted. I'm very happy to do these tours because they're something different, apparently 'unforgettable' - my life is so hard. If interested please contact me with your party size and availability.